The WolfPack baseball team had to dust themselves off both literally and figuratively during their annual trip to the desert over spring break. Over the week-long retreat to the greater Phoenix area, the ‘Pack got 11 games under their belt against both conference and national competition. Madison College went 5-6 over this stretch. Although few patterns stand out from the box scores, the trip was undoubtedly a great way for the team to settle in for the rigorous season ahead. The ‘Pack opened the season with back-to-back wins on a Thursday over local Chandler-Gilbert Coyotes. The first game finished 7-3, with 2018 home run leader Jarrett Scheelk opening the scoring in the fourth inning. The sophomore brought home fellow second-year Nick Gile through a home run to left field. Madison College extended the lead to three runs in the sixth inning with a two-out RBI single from Matt Miller, however the Coyotes answered in the bottom half to tie the score and send the game to extra innings. The WolfPack finally put the game out of reach with some old fashioned small ball. After drawing early walks, the pack bunted, doubled, and sac-flied their way to victory. Jordan Williams, Adam LaRock, and Walker Jenkins all contributed to the scoreline. Freshman Taylor Jansen finished the game off, allowing 0 runs. The second game was also tied at 3, however the ‘Pack would prove too much for the Coyotes to keep up with this time, scoring in every inning except the first to win the game 12-5. Madison College brought home three runs in the fifth inning including two off the back of a Carson Holin double. In the final inning, the ‘Pack brought in four more on two walks, two hits, and two wild pitches. Starting pitcher Matt Hamilton got the win, going five innings and allowing four earned runs on eight hits. The next four outings over the would prove far less favorable to the WolfPack. A last-inning breakdown, two 1-0 losses, and a heavy loss on Sunday droppedtheir record to 2-4. The first matchup of the weekend was against the Paradise Valley Pumas, which the ‘Pack lost 7-4. Sophomore starter Troy Hickey began his season flawlessly, holding Paradise Valley scoreless through his 6 innings of work. However, the Pumas would go on to blow up reliever Jackson Brown’s collegiate debut, hanging up seven runs and ultimately putting the game out of reach. Madison College finished with six hits from five different players. The next two games — a doubleheader against Scottsdale Community College — went by extremely quickly for both teams. The WolfPack and the Artichokes were locked in a 0-0 tie until the eighth inning, when Scottsdale manufactured a leadoff walk against Eliot Turnquist. A sacrifice bunt and a bloop RBI single brought the runner in, and it went on to be the only run of the game, which the Artichokes won 1-0. The second matchup also went to the seventh inning when once again Scottsdale put a man on, moved him with a sacrifice, and snuck the ball past the ‘Pack’s infielders to win the second game 1-0. Patrick Foldly took his first loss of the season, despite holding the Artichokes to just one run. 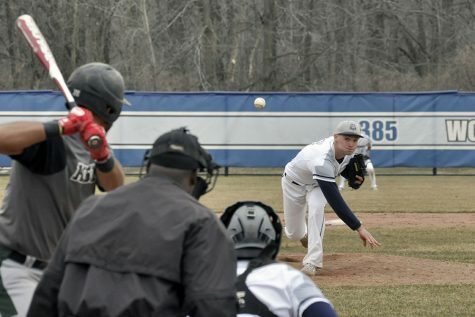 Madison College would turn around their four-game skid in quite some fashion after taking Monday off. The ‘Pack moved to 3-4 through a 10-run rule dismantling of N4C Conference competitors Morton College, 11-1. Matt Hamilton moved to 2-0 on the season off of the win, while freshman Luke Malmanger opened his WolfPack stat sheet with a two-run single. Adam LaRock brought two in of his own on a double in the second, and a host of ‘Pack batsmen put away the game in the fifth. Later on that day, Madison College suffered a tough loss at the hands of No. 6 Western Oklahoma State College with a score of 9-8 after an extra inning. The bats were hot through the first half of the game, with a score of 8-8 in the top of the sixth. Jarrett Scheelk led the WolfPack batters with a two-run bomb in the fourth. The bats finally cooled off in the latter half of the game, but Western Oklahoma got the better of the ‘Pack through reliever Eliot Turnquist after he walked the first three and gave up a sacrifice fly to end the game. 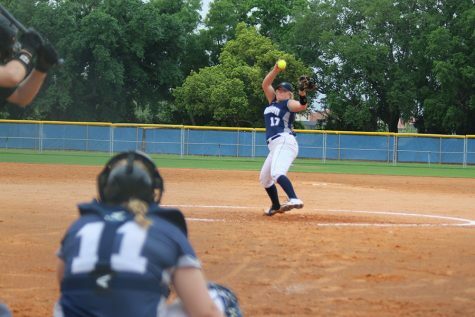 Madison College’s pitching woes continued the next day, as starting pitcher Troy Hickey was only able to throw one and two-thirds innings before being pulled from the game against the Gateway Community College Geckos. He gave up seven runs and the early deficit proved insurmountable for the ‘Pack, who lost the game, 14-5. Regardless of the bleak scoreline, outfielders Carl Valk, Nathan Aide, and Carson Holin as well as infielder Nick Gile had multiple hit games. Madison College finished the trip to the desert with back to back wins over local Glendale Community College Gauchos, 10-5 and 9-8. The two crucial wins drew the ‘Pack ever closer to the .500 mark ahead of their regular season matchups. The first game began with the WolfPack scoring a half-dozen runs in the first inning. They never looked back. Sophomore Adam LaRock went 2 for 3 with three RBIs and two runs scored in the game, while Patrick Foldy picked up his first career win. The second game saw Walker Jenkins drive in a run with a triple followed by an RBI double from Nick Gile giving the ‘Pack a 2-1 lead. However, in the bottom half of the inning the Gauchos reestablished a 4-2 lead. In the top of the fourth, Madison College answered with 6 runs through several walks and key hits when it counted, including a triple from Nick Gile. Glendale chipped away at the deficit, but the ‘Pack kept them at bay to hang on for the win. 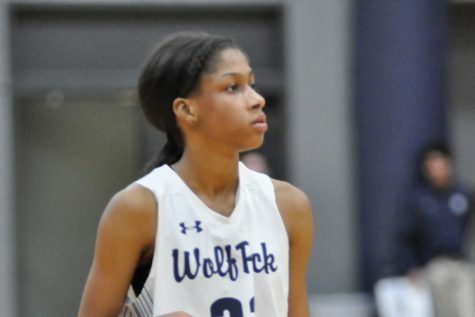 Madison College will resume their season at Kishwaukee College in Malta, Illinois on March 27 at 2 p.m. Madison College is 33-23 all time against the Kougars, and will be looking forward to continuing the win streak.